As of Map Pilot version 2.3.0, a mapping mode that does not require an active connection to the aircraft as been added. Connectionless Mode is designed for use when mapping will occur far away from the home point or if there is a lot of interference that would keep the camera from triggering properly using Active Connect mode. NOTE: There are two types of Connectionless Mapping: timed and distance triggered. Distance triggered will take a picture every time the aircraft has moved the prescribed amount of distance. Timed imaging is dumb and just takes an image every X seconds. Distance Triggering leads to better results and is used if it is available. Timed imaging is OK but it will take lot of images in the corners when the aircraft slows down and this can lead to processing issues. Timed imaging is the only option available on aircraft such as the Phantom 4, Phantom 3 and Inspire 1. Flight controller firmware 3.2.10.0 or above is required to use Distance Triggering and it is only available on Phantom 4 Pro/Mavic aircraft or newer. Active Connect mode will create more accurate 3D models since all of its images are taken while traveling the same speed, but Connectionless mode doesn't require a connection to the app. If you plan on having a strong connection to the aircraft or require the most accurate models possible, we recommend using the Active Connect mode. When Connectionless mode is being used, the grey dots will be shown as usual to show progress. The location of these dots is based on a message from the aircraft that it took an image. If there is no active connection to the aircraft these dots will not be drawn. In Active Connect mode, images will only be collected while in the defined survey boundary area. In Connectionless mode images can and will be taken outside the survey area and at aircraft speeds other than the prescribed one. Previous to this version, the mobile device was in charge of triggering the capture of images at appropriate locations. The Connectionless mode uses the distance the aircraft has traveled to trigger the camera. The distance interval gets automatically defined based on the prescribed flight altitude and speed. Active Connection mode will create more accurate data outputs and require less image cleanup. Taking images at different speeds, which inherently happens during fixed interval imaging, leads to inaccurate results in elevation and volumetric products and may cause stitching issues in general. Safety issues aside, the main issue with not maintaining an active connection is the inability to track progress and detect route abandonment events. The camera will continue taking images in the absence of a connection to the mobile device. I love you guys but this doesn't read like something you wrote. "Active connect" vs "connectionless" explanation has me loaded with questions. I'll only start and see if others jump in.  "Map Pilot version 2.3.0 a mapping mode that does not require an active connection". Unless I missed it. I don't understand your definition of "active connection". Are you referring to the link between aircraft and controller? "Active Connect mode will create more accurate 3D models"
I'll assume you are (also) referring to 2D Maps. When I read "3D Models", I'm not thinking 2D maps. "If you plan on having a strong connection to the aircraft or require the most accurate models possible". "In Active Connect mode, images will only be collected while in the defined survey area." Will it not take the "ground zero" reference image requested when uploading the mission? Up until this version, all image triggering was done by the app and for that to be done the RC connection strength had to be > 85% or images would be dropped/delayed. From the article: "Active Connection mode will create more accurate data outputs and require less image cleanup. Taking images at different speeds, which inherently happens during fixed interval imaging, leads to inaccurate results in elevation and volumetric products and may cause stitching issues in general." We have lots of users that are mapping far away from the takeoff point or in areas where there is a lot of interference so the active camera triggering mode was problematic for them. Both modes have their pluses and minuses. I could not make Connectionless work. The app did not take any pictures. It was just flying. Why? Same here. Connectionless mode did not take pictures. P3 standard. I forgot to mention that I'm on Phantom 4. Make sure all of your firmwares are up to date on all components. The connectionless triggering is distance based which is a very new feature in the DJI SDK. If you are not up to date, it will not likely function properly. Also, be sure to check the SD card to see that images are being taken. The camera may very well be taking the images. The dots showing image location are only approximate and are based on a SDK callback that not all aircraft support. I have checked the go app. It says I'm on 3.11 and 1.6.8 or 1.6.9 I can't remember which to be exact. It doesn't give me a prompt to upgrade. The sdcard is blank. Just tried another flight. I had to swap back over to active connection. Litchi does connectionless flight with video and camera commands no problem. It is likely that they haven't added distance based triggering support to the Standard. It gets skipped for a lot of things due to its more limited hardware. Would it skip the phantom 4 as the previous user is having the same problem. I do appreciate the responses. It's nice to know that the team responds. Flight controller firmware 3.2.10.0 or above is required. "Warning: speed, shootPhotoTimeInterval and shootPhotoDistanceInterval relate to behavior between this waypoint and the next waypoint in the mission. In comparison, turnMode, altitude and heading relate to behavior between the last waypoint and this waypoint in the waypoint mission. Only supported by flight controller firmware 3.2.10.0 or above." I'm with Phantom 4. How to check flight controller firmware version? From DJI GO app, I have 3.1.1 for the app, 1.8.0 for remote controller and 01.02.0602 for aircraft.  Please instruct us how to verify Flight controller firmware for working with Connectionless. Is this feature support Phantom 3 Pro, Phantom 4 and Phantom 4 Pro? I'm used to capture flying inspire1 then this feature is not? I must establish how to install? Flight controller firmware 3.2.10.0 or above is required to use this feature.??? Is the distance-based Connectionless camera triggering mode supported by Phantom 4 Advanced? Zane, I'm mapping a 2km-long highway with a P4 ADV. I planned 2 flight lines using linear mapping. Almost all photos were taken successfully but some photos were not taken during the course. This caused some holes in my block. Can you help me solve this problem? I already checked the SD card and some photos are not there. We are sorry you are not happy with your results. Since the camera is in charge of taking the images in Connectionless mode you should look into some other causes such as the SD card being slower than advertised or full which slows the writing down. If that doesn't work you can turn down the SD card write speed in the settings or fly slower to allow the camera more time to record the image properly. There are two types of Connectionless Mapping: timed and distance triggered. Distance triggered will take a picture every time the aircraft has moved the prescribed amount of distance. Timed imaging is dumb and just takes an image every X seconds. Distance Triggering leads to better results and is used if it is available. Timed imaging is OK but it will take lot of images in the corners when the aircraft slows down and this can lead to processing issues. Timed imaging is the only option available on aircraft such as the Phantom 4, Phantom 3 and Inspire 1. In Connectionless Mode, it looks like the flight paths are contained within the perimeter of the polygon being flown, but the flight paths extend beyond that perimeter in Active Connect Mode. Is this reflecting real differences in the flight path of the aircraft? And how does this jibe with what intuitively seems like a conflicting description of whether photos are taken outside of the survey area in the different modes? That is, the description here says photos *are* taken outside the survey area in Connectionless Mode (but the flight paths are contained within the survey area) and the photos *are not* taken outside the survey area in Active Connection Mode (but the flight paths extend beyond the survey area). Images are only ever taken inside the defined survey area. The flight is not necessarily contained within that boundary though. In active connection mode there is a little bit extra beyond the survey area on each pass which allows the aircraft to slow down and speed up after making the turns. This is done so images are taken while travelling the same speed in Active Connect mode. This leads to better processed outputs. Connectionless is to be used when you cannot expect to maintain an Active Connection. The tradeoff is that images get take at a mix of speeds which makes less accurate 3D models. Ah ha, that makes sense. And because the photos won't be taken at the same speed in Connectionless Mode anyway, there's no point in extending the flight path beyond the survey area to allow for slow down/speed up between passes? Are the orthomosaics also worse in Connectionless Mode? Hi Zane, is there any timline for fixing connectionless mapping issues on P4P? Im getting large gaps in mapping. In the last linear mission it missed 5 photos in a row on one place.